As expected, the past year was an exciting one for mobile tech. 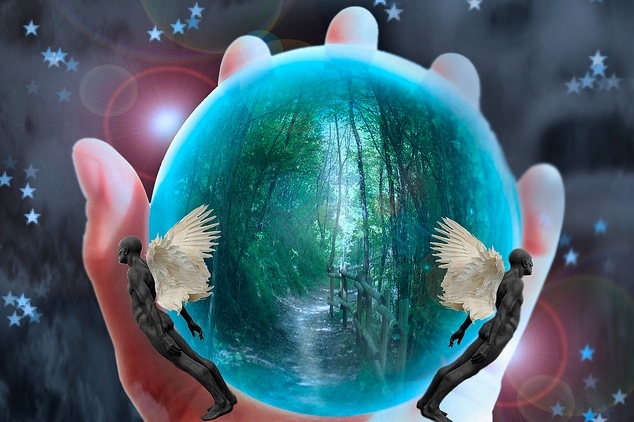 I did reasonably well on my predictions for 2011, but now it’s time to power up the crystal ball and gaze at what 2012 will bring. Make no mistake, the coming year will bring much change to the fast-paced mobile tech landscape. Companies will continue to battle for consumer dollars as both computing and mobile broadband advances put even more power in the devices we carry around with us and even the ones we wear. Wearable computing becomes the next mobile frontier. This year saw an increase in the number of viable smart devices that can be worn on a wrist, but 2012 will see greater consumer adoption of them. Watches such as the MetaWatch, InPulse and WIMM have set the stage and others will follow. I expect Sony(s sne) to take another crack at this market after its mediocre LiveView watch. Motorola has already made a play here in 2011 with the MotoActv but will add another model or improve the current one. And I’m not counting Apple(s AAPL) out here either: Adding Bluetooth to the iPod nano would be an ideal way to interact with an iPhone to see messages, or even utilize Siri. Note that Bluetooth 4.0 will power most of these devices in 2012. We’ll remotely connect to our smart homes. 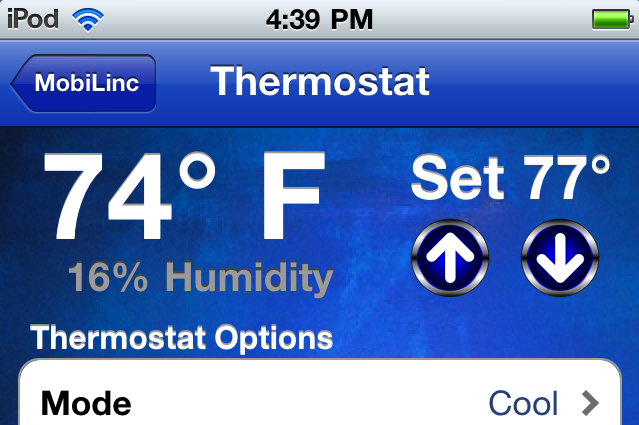 I’m an early adopter in this category, having in 2010 enabled a home automation system that I can tap via my smartphone. Next year, more will do so and the idea of a “smart home” will be a term that most consumers are familiar with. Trying to tap the growing number of smartphone users, companies will aggressively compete for the business of installing sensors in the home and offering software and services to monitor them. But more people will test their own do-it-yourself solutions due to falling costs of sensors, networked cameras and simple, low-cost software to communicate with a smart home. A jump in wireless home broadband adoption. With two LTE networks in the U.S., plus a fast HSPA+ option in T-Mobile, carriers will offer wireless home broadband solutions at appealing prices. I anticipate seeing wireless bundles of home and mobile broadband on single bills that cost less than wired broadband paired with mobile data plans. Instead of opting for DSL or fiber connections, we’ll see the beginnings of homeowners “cutting the cord” on home broadband, creating more demand for spectrum. Windows Phone usage grows, but slower than expected. Microsoft(s msft) will make headway in smartphone platform market share in 2012, but still won’t see double-digit share in 2012. It will, however, surpass BlackBerry(s rimm) market share for phones sold in 2012. Windows 8 will actually help create demand for Windows Phone in the second half of the year as desktop upgraders will want the Metro user interface on their phones for a unified experience. Windows tablets in 2012 will sell like Android tablets did in 2011. Windows fans will trumpet the success of Windows on a consumer tablet this coming year, but the total sales of such devices will be less than 10 million units from all hardware makers combined. 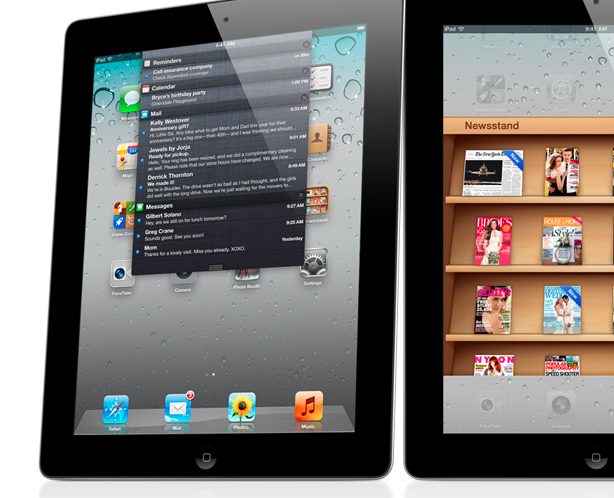 The iPad was the king of tablets in 2011 due to a strong ecosystem and intuitive interface and won’t be dethroned in 2012. Tablet choice for consumers next year will be iPad first, Android second and Windows third. Research In Motion will no longer exist as we know it today. I’d like to be wrong on this, as competition is good for all, but RIM’s missteps and late reactions to competition finally exact a toll: By year-end, I suspect the company will be purchased, mainly for its patents, or will refocus as a services-oriented entity. Nokia uses Symbian as a backup plan (but doesn’t call it Symbian). Although Nokia(s nok) is using Windows Phone as its primary platform for smartphones, it continues to mature Symbian in the face of underwhelming Windows Phone sales. Without momentum and in the face of growing iOS and Android sales, the platform won’t fare any better than it did in 2011. The patent wars worsen. This year was marked with more high-profile patent cases than I can remember in the mobile space. The situation won’t get better in 2012; it will worsen as platforms are now less disruptive and show more parity. With fewer ways to differentiate from the competition, lawsuits will multiply. However, I do expect that of all the companies involved in such suits, Samsung and Apple, will come to terms in 2012. Samsung will pay an undisclosed amount to Apple and will have to heavily modify the look and feel of their customized user interface software. Dual-core devices will outsell quad-core devices. Although dual-core chips only began to power smartphones and tablets in 2011, they’ll be used more often in 2012, even though quad-core chips are here now. The power of four cores simply isn’t needed in lower-cost phones and tablets. Think of Amazon’s Kindle Fire (s AMZN), the Barnes & Noble Nook Tablet (s BKS) and other devices that don’t require such power, cost or reduced battery life. Remember that throwing hardware in a device doesn’t solve software or usability problems. Apple’s next iPhone will be the iPhone 4GS. The company has wisely waited for two things before bringing 4G support to its handset: efficient radios supporting both 3G and 4G technologies and widespread deployment of LTE networks. These problems will disappear in 2012 and 4G will be one of the big features of the next phone. I don’t expect the general design of the hardware to change, however. When the iPhone 4GS arrives, it will be priced the same as today’s 4S. That old model will be priced at $99 and the old iPhone 4 will be free on contract. There will be an iPad Pro available in 2012. The iPad 2 will continue on as a current model in 2012, but see a price reduction, while a double-resolution iPad Pro will launch this coming year. The new Pro model will be priced the same as the current iPad 2. With a price drop for the current iPad 2, Apple will see no need to create a 7-inch iPad for $199 and up, although I will still want such a beast for several reasons. There’s the off-chance that Apple retires the iPod touch so as not to compete on price with the reduced-cost iPad and because iPhone sales will continue to siphon off potential iPod touch buyers. Google will split off Motorola not long after its purchase goes though. This may not happen in 2012, but I expect the announcement of it to take place next year. Google can’t own a hardware company and compete with its hardware partners. It knows this and will split Motorola(s mmi) off with the provision that it retains Motorola’s mobile patents for use in protecting any Android partner. Android’s momentum will continue thanks to Android 4.0. The new platform will be seen by many as more comparable to iOS, which will keep selling phones and begin to finally build a large following for Android tablets. Even so, developers will continue to generally make apps for iOS first and will make far more money as a collective group. However, the adoption of Android 4.0 will be the impetus for noticeable improvements in the quality and availability of Android apps. Hybrid apps with HTML5 will be the norm. The standards for HTML5 are still in motion so native apps will continue to be stronger than web-based apps. But as in 2011, many of the native apps on smartphones will use HTML5 as a base with a native wrapper around them. With the number of HTML5 compatible handsets expected by 2013, we’ll see momentum grow for true web apps on low-end phones. Intel will announce that 2013 is the year it really gets into the mobile market.The song has remained the same for the past few years, but Intel(s intc) still hasn’t cracked the fast-growing mobile market. It will see more success in 2012, especially with tablets, but still will be considered an also-ran to ARM-powered(s armh) devices in 2012. We’ll see a smaller Kinect in 2012, with expectations that such technology fits in a mobile device the following year. The promise of gesture-based mainstream interfaces began in late 2010 as Microsoft debuted Kinect. A smaller version for the Xbox will arrive before the 2012 holiday season and Microsoft will demonstrate an integrated prototype that works with Windows Phone or a Windows 8 tablet. Just as I did this year, I’ll revisit these thoughts at the end of 2012 to see how well — or how badly — my prognostication skills are. Got any of your own predictions for mobile in 2012? Share them in the comments! Symbian’s gotta be kept moving for several markets, it’s just that I don’t count that as a backup, very very hard to go back now. loved the article… i so agree on the first one – wearable computing ! I don’t agree with the Microsoft part. I think (and also hope) it will fail again in mobile, as always did. Die Microsoft ! I’m hoping for glasses with twin 1080p screens running off wifi. The wrist remote idea is lame in comparison. Any predictions on where music fits in ? One more prediction from me: cloud service and online backup cross OSs will be trend in 2012. Unless you’re referring to devices like the Kindle Fire, I don’t think Android is going to be a viable tablet long term. I think manufacturers are going to move towards Windows 8 as their core tablet offering. If you’re stating the ecosystem as being a part of the reason for iPads dominance. The changes coming from Microsoft for cloud and enterprise should have a huge impact starting late next year. I’m surprised nobody has been paying attention to the software/services expected from Microsoft and viewing them as a whole system instead of as separate entities. From what I see, Microsoft has a hand in every part of the computing environment and I really don’t see a competitor that comes close to the services they’ll be offering, not even Google. Has anyone noticed that MS has steadily been integrating all their services (notice I said services, not software)? I agree. MS is the underestimated underdog. Another thing MS openly shares blogging employees and employees doing shows about what they are doing. Its ironic they are ignored, The Verge is smartly covering MS.
That dream of ditching home DSL for 4G ain’t gonna happen Kevin. Not until carriers end the practice of imposing data caps, introduce unlimited plans and embrace tethering. I use well over 30GB/month, and at today’s rates, there’s no way in hell I’ll be paying triple-digit overage charges. And no, don’t ask me to count my geebees each month either! I see two solutions to getting your predictions becoming fact. The first would be for carriers to introduce a speed-tiered billing solution, similar to what Clear does currently. Unlimited 4G use but with price based on the speed of your connection. They seem to get it. The other method would be flat usage-based billing by the gigabyte. Use as much data as you want at the carriers top speeds and pay at a competitive rate of between $1-2/GB. $60 for 30-60GB of 4G is not an unreasonable deal. It would let light users avoid getting ripped off, while at the same time carriers would get a nice chunk of change from their heaviest users. The current practice of data caps is doing nothing but holding back adoption of mobile broadband, as well as limiting the potential of every mobile hotspot device. The premium data charge and mobile hotspot charge carriers also currently impose is again nothing but blatant price gouging on the consumer. I want to use my netbook/notebook/tablet/hotspot the way it was intended!!! What consumers don’t need is some corporate fat cat telling them what they can and cannot do with their purchase. Yup, I could easily see a speed-based billing solution for home wireless. That’s what we have today for wired in many cases. I predict Microsoft will purchase Facebook after it goes public. i love my windows phone! i hope more people will notice it. And people stares at the hyper Microsoft salesguy, and walks past him. I love mine also, they are awesome! 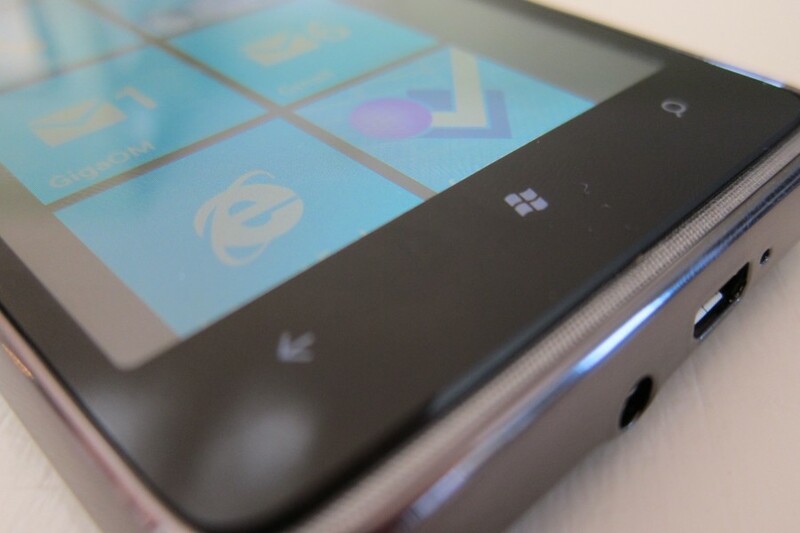 I do too, WP 7 is great; fast,smooth, integrated,looks great and easy to use. But early adopters of tech will always be a small minority, by virtue that innovation begins on the fringe, rather than the center of mass adoption. I notice that even in fast paced tech, people are people, meaning they are reluctant adapt quickly to change. The old fashioned, but familiar UI of computing for the last 20+ years is safe i.e.icons that open isolated programs. But Metro opened that box, I predict, the other platforms will follow in changing to a modern computing UI that leverages synergy of apps as a connected system like Metro. Younger people aren’t biased by the safety of old fashioned interfaces, and will naturally choose the modern tech. But the biggest obstacle is carrier control of Android. Carriers control the OS and the Service to the customer if they make a phone too it will be closer to a true monopoly of the mobile platform. Lets hope 2012 doesn’t end with the corporate power giving us choice to choose, as long as its Thier Android. 1. LTE market shifts from early adopters to mainstream adoption and growth. 2. Wireless carriers agressively market multidevice and family data plans. 3. NFC begins to see national marketing promotions that tie in location based daily deals. * Microsoft will buy RIMM.